Victor Fisher is an artist who specializes in traditional bronzes with a modern twist. Originally from Chicago, he studied art at the Art Institute of Chicago. Fisher graduated from the American Academy of Art, and attended the Laguna School of Art in Laguna Beach, California. Fisher sculpts the human form in “loving, exquisite, and painstaking details”. Each sculpture attempts to depict an athlete or dancer at an instant of peak performance or at rest. Fisher tries to freeze a moment in time “because at this moment the athlete is tremendously graceful.” He feels he must do justice to the parts of the body that are the most prominent: faces, hands, and feet. 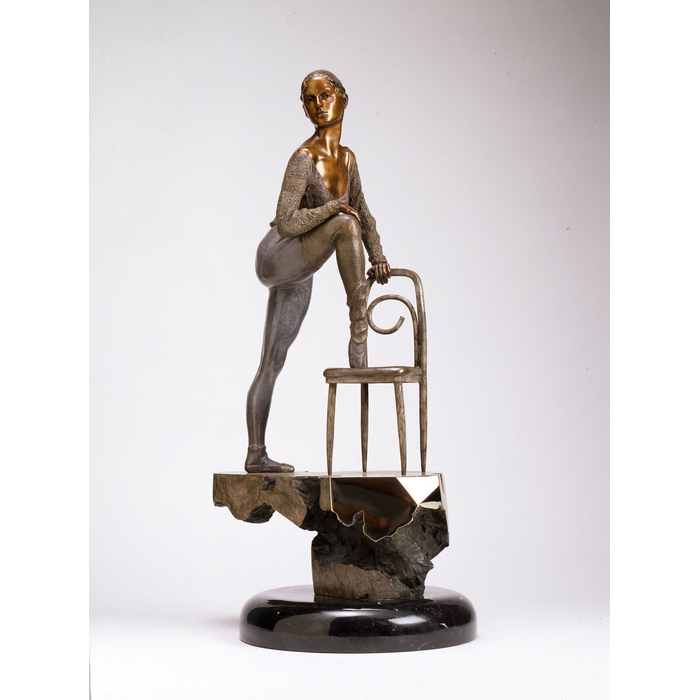 Fisher’s sculptures focus on the human body and often feature highly-polished bases. * The Kalos Kagathos Foundation had him produce bronze sculpture called “Oarsman” which is on permanent display at the Orange Coast College boathouse in Newport Beach.